With the continous support of our dexterous workforce, we are offering the exclusive range of Inconel 600 Forged Elbow to our clients at the most market-leading price range. These products are widely demanded and appreciated due to their accurate dimension and optimum performance. This product is appreciated for its premium quality promptness and reliability all over the world. Our offered rod is manufactured using excellent quality raw materials and equipment in order to maintain its adherence to universally accepted norms. The offered product is widely demanded in domestic and international markets. 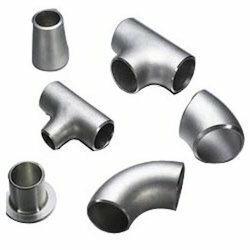 Manufacturer & export wide selections of Incoloy 825 Forged Fitting at the most attractive price around the globe which satisfy the requirements of both strength and durability. Our expertise allows us offer inconel forged elbow to our clients. They are widely used by nuclear, oil, chemical and gas industries. These products are offered in different sizes as per the specifications. The range is procured from reliable and well known vendors and is offered at market leading prices. Material: SS, INCONEL, TITANIUM, HASTELLOY, etc. 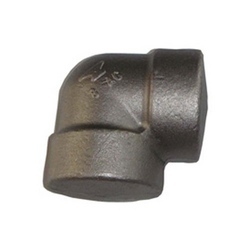 RANDHIR Inconel 600 Forged Elbow, Size: 1/4" 6"